Tech giants, start-ups and aid organisations will meet at the TechFugees Conference today to discuss ways in which the tech community can contribute solutions to the refugee crisis. 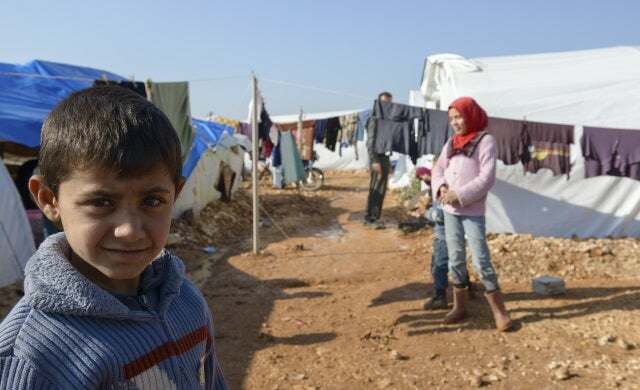 The TechFugees initiative, brainchild of TechCrunch’s Mike Butcher, was launched in less than a week and has the backing of many notable tech leaders, including Facebook, Braintree, Nesta and Tech London Advocates. Speakers at the conference, which will be followed by a Hackathon the following day, will include Calais Refugee camp’s Sadaf Ahmed (who runs Musafir Kitchen) and Rohan Silva, former adviser to government and founder of Second Home, as well as Engineers Without Borders UK’s co-founder Richard Sergeant, Gi Fernando of Founders for Good, and Adam Rodriques from Global Initiative. The event is set to take place at Skillsmatter in London and hopes to incite other developer events across the world during the month of October. As part of the event, the organisation has come up with six challenges for developers to work on (which are based on work with refugees in Berlin and aid agencies in Calais). The challenges consist of creating a way for separated family members and communities to find each other; find ways to effectively report war crimes; build a method for refugees to be heard so that their needs are met; construct a system that helps refugees find and share safe ways to travel; and finally build a cumulative and accessible system for start-ups that stores country-specific asylum and immigration information. TechFugees has also launched a crowdfunding campaign in order to aid solutions. Mike Butcher said: “We have three main aims. With our online community we wanted to galvanize the desire of the tech community to respond and assist in the crisis. With the conference this week we want to bring that community together with NGOs and other agencies to come up with creative ideas and solutions that may aid both agencies and refugees themselves. For more information on how to get involved in the event check out the organisation’s website here or for more on the ‘Tech for good’ movement have a look at our piece here.